U.S. Independence Day is coming up on July 4th, so here are some red, white and blue cupcakes to get you in the patriotic spirit. 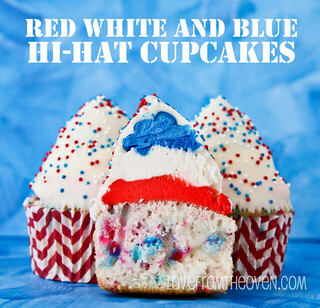 Red, white and blue hi hat cupcakes by Love From The Oven, who shows you how to make them! 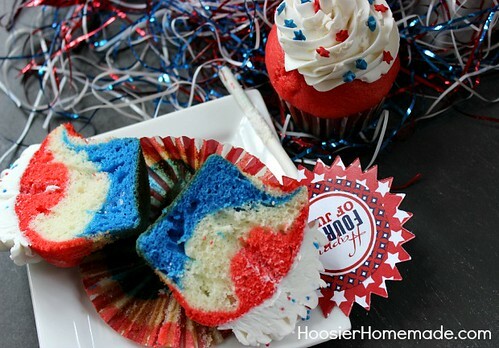 Easy red, white and blue cupcakes from Hoosier Homemade, who's got the recipe. 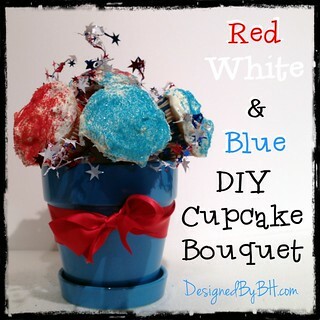 Here's a red, white and blue cupcake bouquet from DesignedByBH, who has instructions on how to make them. 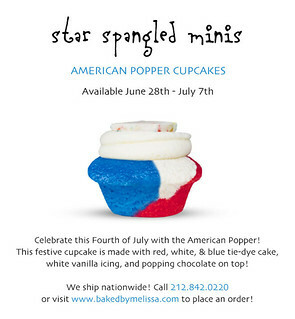 Baked by Melissa will be selling these mini red, white and blue cupcakes from June 28th to July 7th. They're based in New York, with multiple bakeries, but also do mail order. Visit bakedbymelissa.com or call 212-842-0220 for ordering information, and keep up with them via Facebook. The mini ones are so cute!